Dr. Richard G. Jabaley, O.D. Dr. Richard Jabaley graduated from Southern college of Optometry and has been practicing since 1993. Dr. jabaley lives in Murrayville, GA with his wife, Melanie, and daughters, Lucy & Ann Marie. Dr. Jabaley provides a wide scope of Optometric needs starting at age 6. He enjoys practicing in North Georgia and providing personal care to all of his patients. Dr. Jabaley is a member of the Georgia Optometric Association, Dahlonega Chamber of Commerce and participates in Lions Club. Dr. Jabaley is a HUGE Georgia Bulldog Fan. GO DAWGS! ​You also may ocassionally see Melanie filling in at the front desk, or behind the scenes making your glasses! Tanya is our office manager. She is a Certified Para Optometric and a member of the American Optometric Association and participates on the Dahlonega Healthcare Committee. Tanya has been with Mountain Eye since 2014. She is a proud military spouse to Benjamin and mom to Aliyanah & Skylar. Being from Illinois, she is a Bears, Cubs and Blackhawks fan! Derek is an Dispensing Optician Apprentice from Dawsonville, GA. He has been with Mtn Eye Clinic since May 2016. Derek lives with his partner Josh and his dog Leelah. Derek enjoys to travel and is an avid gamer. 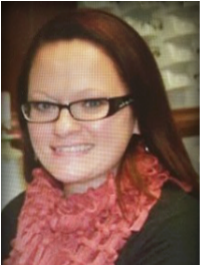 Veronica Chambers is a Licensed Dispensing Optician. She is also nationally certified through the American Board of Opticianry and National Contact Lens Examiners. Veronica joined the team August 2018. She enjoys spending time with her husband, Jason, and her children Trevor & Aslyn. They are a HUGE baseball family and always say "GO BRAVES!"